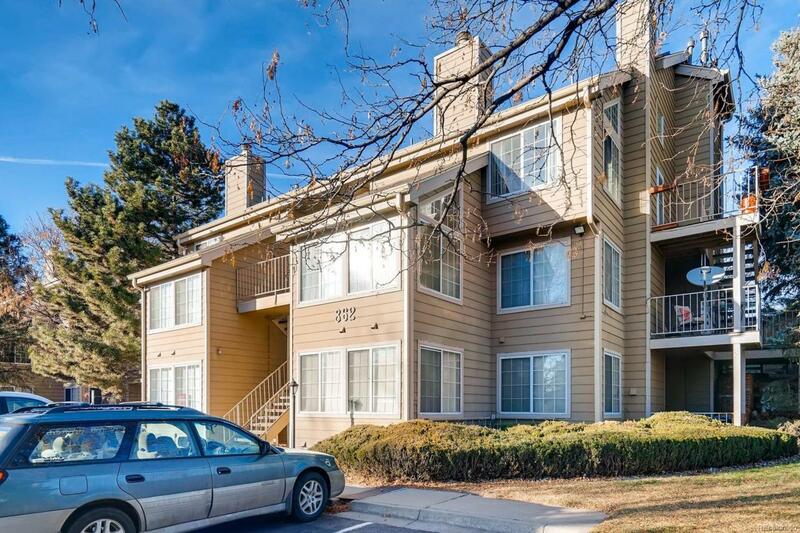 This beautiful 1 bedroom 1 bath penthouse condo located across from Bonfils Stanton Park has it all. This unit faces west and has abundant natural light year round filling the large open floor plan with spacious vaulted ceilings. Recent updates include professional paint throughout, beautifully refinished hardwood floors, new electrical switches, receptacles, fixtures and hardware makes this home ideal for move-in ready buyer. You need to check out the unfinished loft. This space has great potential for a second bed and bath or open office. Perfect as your primary home or great rental. Short walk to Belmar open air retail centerto enjoy movies, dining and shopping. Do not miss the opportunity to show this condo! Available for a quick closing! Note: Buyer's financing fell at the last minute and we are back on the market!